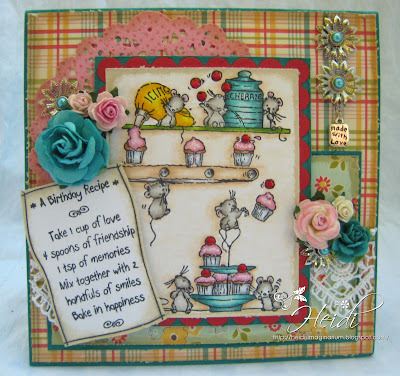 Heidi's Imaginarium: HAPPY BIRTHDAY LACEY! Magical Mondays - Use those Scraps! Over at Stamp and Create!! Which means...She thinks she is officially OLD! Get 15% off your total order when you used discount code old (all lowercase). The sale runs through midnight EST tonight. It's the half way reminder for the ABC Christmas Challegne W = Winter Sports. Lately, I have been totally obsessed with making easal cards. They make the cutest decorations. This is the card I made for Lacey for her Birthday. I wanted to make her a card from a stamp that she doesn't carry in her store! two stunning cards ~so beautifully made!! 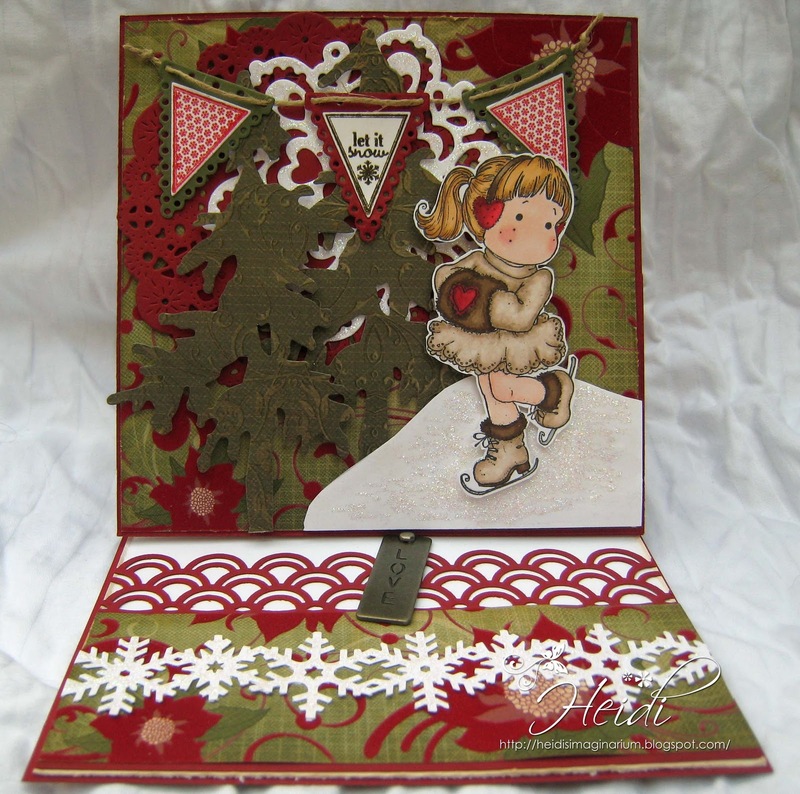 What a gorgeous cards Heidi. Wonderful cards Heidi - love the way you've used the easel card to make a scene! They are stunning Heidi, love them both!!! Thanks You for visiting my blog. I love reading your comments! I love creating things. I have been known to make mosaics, do some knitting, make some jewelry, but the thing that has really stuck is making cards. They are tiny masterpieces! Heidisimaginarium is a place where I can share my creativity with others!